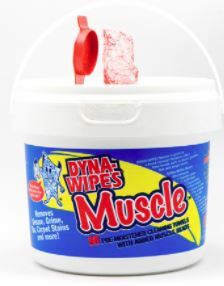 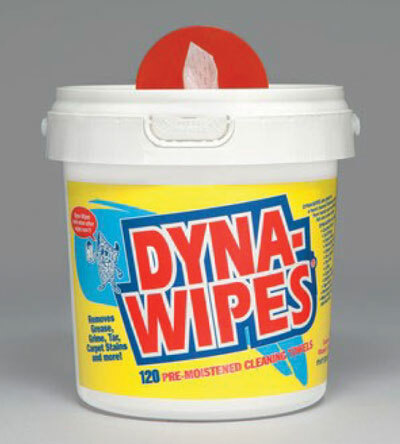 Dyna-Wipes clean grease, grime, tar, stains, gasoline, paint, urethane sealants, polyurethane sealants, glue residue, graffiti, marker, and so much more! 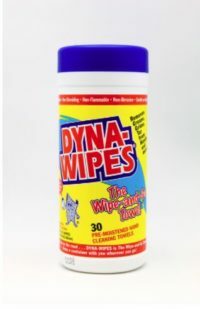 Contains 4 hand conditioners, including Vitamin E and Aloe. 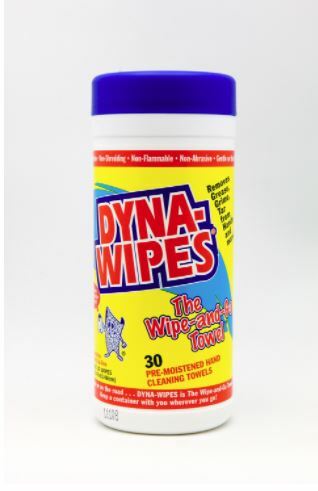 Does not dry hands. 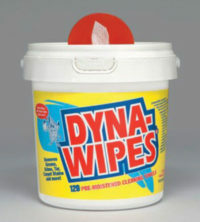 Here are just some of the industries using Dyna-Wipes.